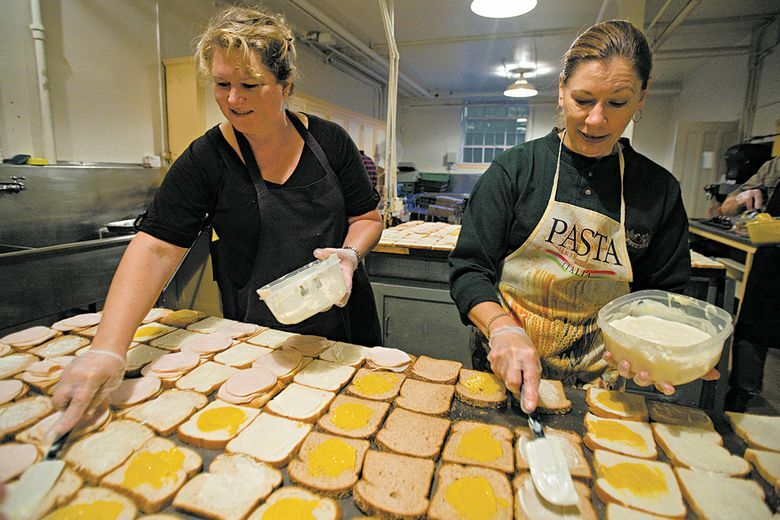 Through its Sandwich Brigade, Northwest Harvest distributes nearly 60,000 sandwiches per year. As longtime supporters and volunteers of Northwest Harvest, Ernie and Diane Burgess noticed a gap they felt they could solve. While many of the customers at the local organization’s Lunchtime Sandwich Brigade were receiving well-rounded meals, they felt one popular option, the peanut butter sandwich, wasn’t providing quite enough sustenance. Every week, along with turkey and ham sandwich options, Northwest Harvest hands out 400 to 600 peanut butter and jelly sandwiches through its Sandwich Brigade, a popular lunch program to help feed the community. “Lines form around the block, especially at lunch,” says Jenn Tennent, Director of the Hunger Response Network at Northwest Harvest. She adds it’s a “true grab and go” option for people who need it. Served with a side and a drink, these sandwiches are the most popular choice in the program. Aided by GIVEBIG donations, the Burgesses took it to the next level, funding and handing out two PBJ sandwiches instead of one. The Sandwich Brigade has doubled in size, distributing nearly 60,000 sandwiches per year. The Burgesses still spend many lunches helping out the First Hill organization. Few are aware that they’re also picking up a good portion of the tab through the support they have provided through GIVEBIG. Seattle Foundation’s GIVEBIG will cross the $100 million threshold this year on May 9, when thousands of people from Greater Seattle give to their favorite nonprofits. The gifts, which will go to nearly 1,600 different organizations, have significant positive impacts, creating a stronger, more vibrant community for all. In its eighth year, GIVEBIG Seattle has generated more than 400,000 individual donations, including from many generous donors who truly make this their “giving day.” The event unites Seattle Foundation, nonprofit organizations and donors in the powerful yet simple act of online giving. You can schedule a donation today at givebigseattle.org, or wait until May 9 and join in this celebration of giving for all with our community. Each participating nonprofit organization is thankful for every contribution and success isn’t about the size of individual donations. Often, it is the collective gifts from many donors that create the lasting impact. The Village Theatre uses this collective strategy for its donations, which are infused with special meaning this year. The Issaquah and Everett theaters’ longtime artistic director, Steve Tomkins, is retiring, and the theater group has a unique campaign to commemorate him and strengthen the theater at the same time. 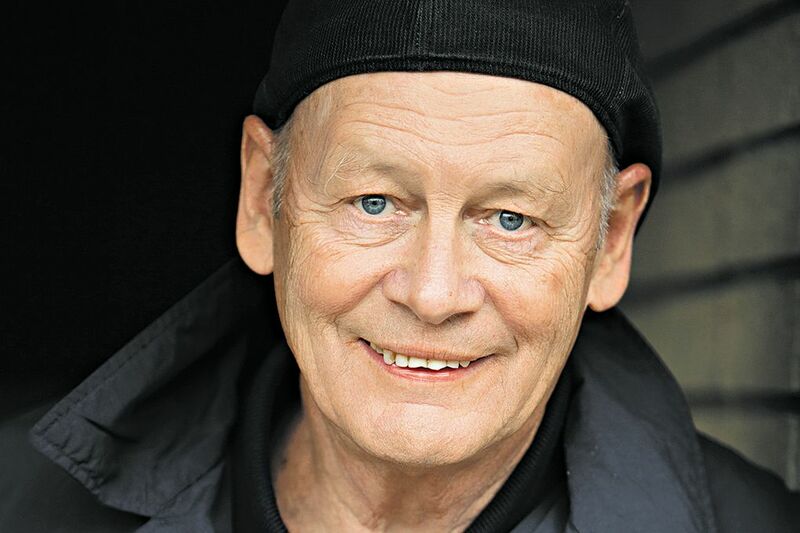 Tomkins has been with Village Theatre for 25 years, serving as artistic director on 64 mainstage musicals. Because of his lasting impact, a dance and rehearsal studio is being renovated in his name. The theater is using GIVEBIG to further the campaign to fund the project. Providing specific reasons for donors to contribute is a great way to inspire generosity. The most successful GIVEBIG campaigns tap into warm relationships with community donors, whether they can contribute $5,000, $500, $50 or even $5 (which is the smallest donation ever received through GIVEBIG). The nonprofit organizations participating in GIVEBIG rely on thoughtful, generous donors to further their missions. Sometimes it is more than money for which they are grateful. Often, it is the support and relationship behind the donations that create the lasting impact and build an enduring bond between people and the causes they care about most.